Capital City Film Festival - Delightful! 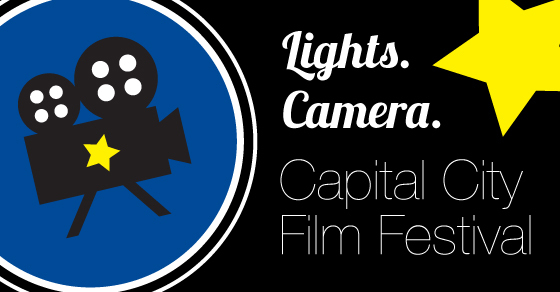 This week its time for the fifth annual Capital City Film Festival and Im delighted. I have to admit first and foremost that Im not a huge film or movie buff. I can count on one hand (or maybe three fingers) the times that I go to the movie theater each year and mostly Im underwhelmed. Dont get me wrong. Im not a film snob, I just like to watch something that truly interests me, or something I can relate to. Or something that makes me learn something new or tugs at my heartstrings. Thats not too much to ask, am I right? But it never fails that when I attend CCFF, Im always entertained or at the very least intrigued with a documentary, a short film or impressed with a performance. And I always leave the venue with lots to talk about and discuss. Thats exactly what makes it such a great event. So its with great anticipation that Im looking forward to quite a few things this year. The opening night on Thursday at the Beer Grotto. The Michigan premiere of Slow West. 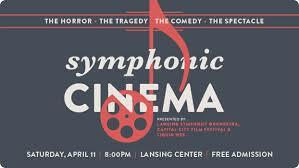 The Lansing Symphony Orchestra yes the whole orchestra playing along with some silver screen classics. And as much as I dont want to know a magicians secrets, I really want to see An Honest Liar. And of course, because I have the attention span of a gnat, the short film bundles are just perfect for me. Quick and quirky. Yep. Just my speed. Take a look at the line-up and get yourself to Lansing for the Capital City Film Festival. When: Thursday, April 9-Sunday April 12, 2015. Cost: All Access Pass $50, individual movies $5 Note: There are some free events as well. Did you know thatGreater Lansing offers over 150 things to do? With only 48 hours in a weekend, the clock is ticking. Download the LAN150 Bucket List and get started.